KATHMANDU, Mar 7: The government has not yet fixed the minimum support price for sugarcane although the crushing season is nearing conclusion. The government's indecision over minimum support price has created a big trouble for farmers. Farmers say that the government is dragging its feet over fixing sugarcane price as it is working in collusion with sugar producers. Sugarcane Producers' Association says that the minimum support price has not been fixed despite a repeated appeal from the producers. Kapil Muni Mainali, president of the association, said that the sugarcane farmers are under pressure to sell canes in last year's price because of the delay in fixing price this year. “Cost of production has increased. But farmers are not getting proper price for their products in the absence of minimum support price,” Mainali added. Sugarcane producers have been demanding Rs 562 per quintal. But industrialists have been saying that the rate proposed by the farmers is way too high. Some industries have been paying farmers in last year's rate of Rs 531 per quintal. But they have not cleared all the money that they owe to the farmers. Ministry for Agricultural Development (MoAD) and the Ministry for Industry (MoI) have been making unnecessary delay to fix price of sugarcane. Other industries have been saying that they are not in a position to buy sugarcane at last year's price. 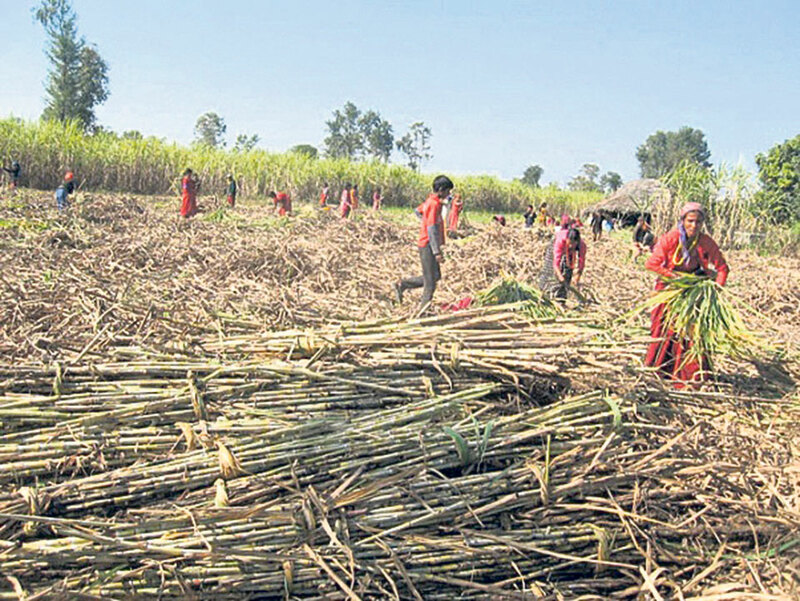 Mahakali Sugar Mill and Bageshwari Sugar Mill of Kanchanpur have started buying sugarcanes from farmers, assuring them to pay Rs 470 per quintal. Eastern Sugar Mill of Biratnagar, Shree Ram Sugar Mill and Himalaya Sugar Mill of Siraha, Everest Mill of Mahottari, Reliance Sugar Mill of Bara, Lumbini and Bagmati Mills of Nawalparasi have agreed to buy sugarcane at last year's rate, according to the association. Sugar industries have been saying that they will be in a position to pay farmers for last year's purchase only if the government ups customs duty on Indian sugar. Cane crushing season generally starts in November and continues till April. Indu Shankar Sugar Mill of Sarlahi has paid only Rs 140 million to farmers even though it collected sugarcane worth Rs 1.40 billion from them. “The industrialists have been pointing at low sales behind the delay in payment,” said Mainali. 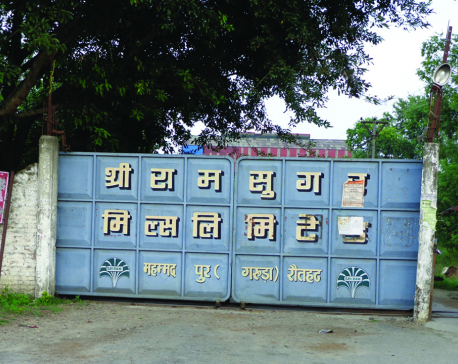 Shree Ram Sugar Mills of Rautahat has not paid farmers for two years. Farmers have complained that the industry owes them a total of Rs 470 million. Industrialists and sugarcane producers are at the loggerheads for long regarding the minimum support price. Farmers have been arguing that the price of sugarcane should be increased in line with the rise in price of sugar.